Since 1994, MWI has provided negotiation training, mediation services, ADR system design, and mediation training to a range of clients. Below please find a few select engagements and a list of clients by clicking here. MWI has had an exclusive contract with General Motors Corporation (GM) since 2005 to provide mediation and arbitration services to resolve all contractual conflicts between GM Dealers and General Motors. GM’s unique ADR process involves a three-person mediation panel consisting of an experienced MWI mediator and a GM Dealer and a GM Management person trained in mediation. MWI’s qualified mediators and arbitrators have experience in the resolution of automotive-franchise disputes. The parties benefit from the combination of working with an experienced process expert from MWI and two industry specialists from the automotive industry. MWI is the sole provider of mediation and arbitration under the dealer sales and service agreement to all divisions of GM throughout the United States including Chevrolet, Cadillac, Buick, and GMC. MWI began working with ADI in 2006 to develop and implement a negotiation skill-building initiative for ADI’s sales teams world-wide. After spending seven months designing a custom two-day Negotiation Skills Workshop, complete with ADI specific role plays, case examples, and internal process components, MWI began a world-wide roll-out in 2007, with an initial workshop in Tokyo, Japan in January 2007. This first round of implementation began in Munich and continued in Paris, Boston, San Jose, Tokyo and China (Shanghai and Taipei). Following training, MWI worked with ADI to ensure the principles and concepts delivered were incorporated into ADI’s internal negotiations process through the use of MWI’s negotiation coaching services. This comprehensive approach to corporate learning and behavior change has been implemented successfully with other clients. 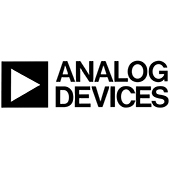 ADI reported that that the project produced a $100M ROI achieved within the first year of implementation. MWI is the exclusive provider of ADR services for BMW NA and its dealers. 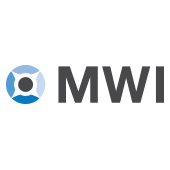 MWI provides mediation services for contractual disputes between BMW NA and BMW Dealers and the contract covers BMW Passenger Car, the Mini, the Sports Activity Vehicle (SAV) and the BMW Motorcycle Divisions. The process for alternative dispute resolution also includes Rolls-Royce Motor Car LLC, NA. Since 1994, MWI has been a leader in professional mediation training. MWI’s training faculty are full-time professionals in the mediation field who bring decades of combined experience to each program having trained hundreds of mediators and mediated thousands of cases. Unlike many other training providers, MWI offers opportunities for participants to grow their mediation skills by mediating actual cases in court following successful completion of MWI’s Mediation Training Program. Mediation training participants include lawyers, judges, business consultants, academics and mental health professionals. MWI offers a range of customized mentor and advanced training programs that focus on workplace and divorce matters. MWI has designed and led for over seventy-five 20 to 40 hour foundational and advanced training programs, totaling over 2250 hours. MWI also offers Basic and Advanced Negotiation Training programs, which help participants learn to structure the process of negotiation and communication in a way that promotes joint problem-solving and collaboration to better meet the needs of all parties, producing longer-lasting, more durable agreements. 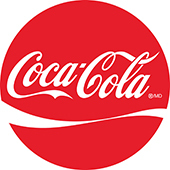 Since 2002, MWI has worked with Coca-Cola Enterprises (CCE) to implement and refine their company-wide dispute resolution program called “Solutions”. In an effort to proactively address employee concerns, senior management at CCE approved a plan to launch a comprehensive ADR program designed to assist every CCE employee to resolve disputes early and often. CCE’s Solutions Program has successfully provided mediation, arbitration, training and other ADR services to over 40,000 employees across the country. Since the inception of the program, CCE has eliminated employment litigation with covered employees. Since 1997, MWI and MassHousing have been working together to provide a comprehensive program of dispute resolution services that now includes mediation, facilitation, consultation, and training for both residents and staff. 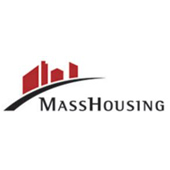 Last year MWI provided a record number of dispute resolution services to MassHousing’s TAP Member sites across the Commonwealth.